It has been an unforgettable summer of sport in London and even the Supreme Court could not escape the “Olympic fever” that has gripped the nation. 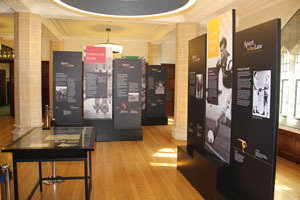 The Court’s current exhibition is entitled “Playing by the Rules” and offers an introduction to how the legal profession has helped to support the development and funding of sport over the years. With a particular focus on the Olympics, the exhibition uses case studies to raise some of the questions and challenges that have faced the professionalism of sport. Beginning with exploring the amateur values that underpinned the birth of the modern Olympics and going on to describe some of the International Olympic Committee’s most controversial decisions (particularly in relation to anti-doping regulations), the exhibition explores the issues surrounding the commercialisation of sport, from the history of the distribution of the revenue from the Olympics television rights in 1966 all the way through to the 1998 “Salt Lake City scandal”, when IOC committee members were found to have accepted bribes in return for votes for certain cities to host the Olympics. There is a fascinating section dedicated to the Court of Arbitration for Sport but perhaps the highlight for us lawyers was the interactive database of barristers and solicitors who have competed in the Olympics. In fact, the exhibition claims that a disproportionate number of GB Olympic competitors over the years also have a professional background in law and explains this by saying: “Both sport and law are about people. People inspired to stretch their abilities and their horizons. People who, either individually or as part of a team, embrace a competitive spirit and a drive to make their mark“. 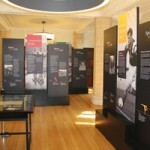 The exhibition is free to enter, is open until 28 September 2012 and is located in the foyer outside Court Room 1 of the Supreme Court. For further details, see the Supreme Court’s website here. Leave a reply on "“Playing by the Rules”: The Supreme Court’s Sport and the Law Exhibition"